Meet at the The Hub, Grosvenor and Hilbert Park Tunbridge Wells. 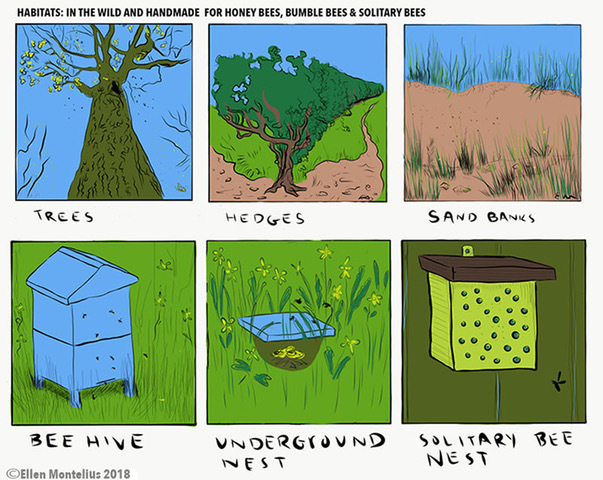 Learn how to make a bumble bee and solitary bee hotel! 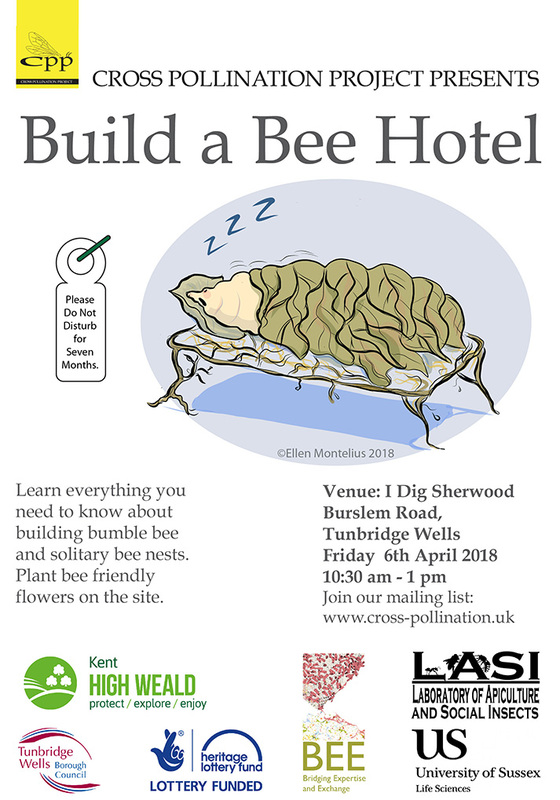 This is a free and fun event for all the family discovering how we can help our pollinators by making them homes out of natural materials. No need to book, just show up on the day! Our major star plant for 2018 is Helianthus (Lemon Queen) again! Thanks to our dedicated CPP volunteers and enthusiasts we once again managed to gather useful data from the bee beds’ second summer. Same as last summer, all fourteen of our plants except the three control plants (pelargonium, pom pom dahlia and cactus dahlia), were popular with pollinators. Looking at the results for 2018, the star plants change throughout the season. 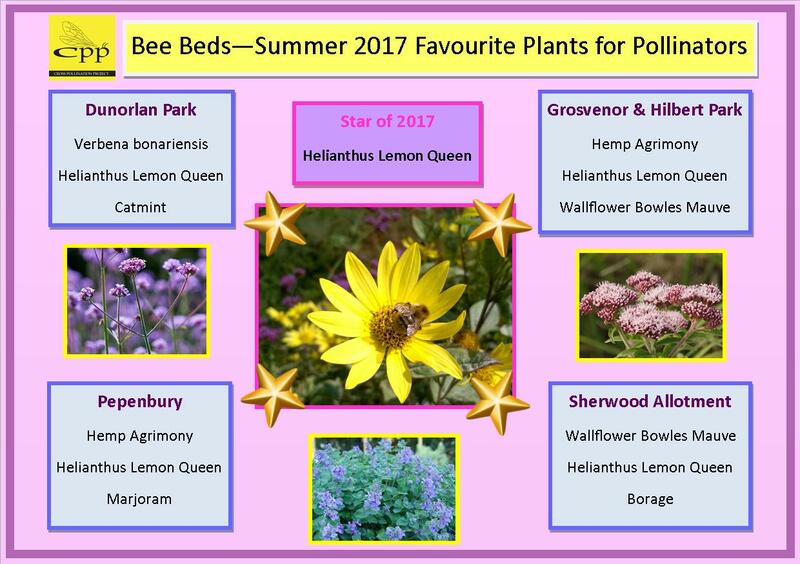 The stars at the start of the season were Lavender and Marjoram and then Helianthus towards the middle and later months. 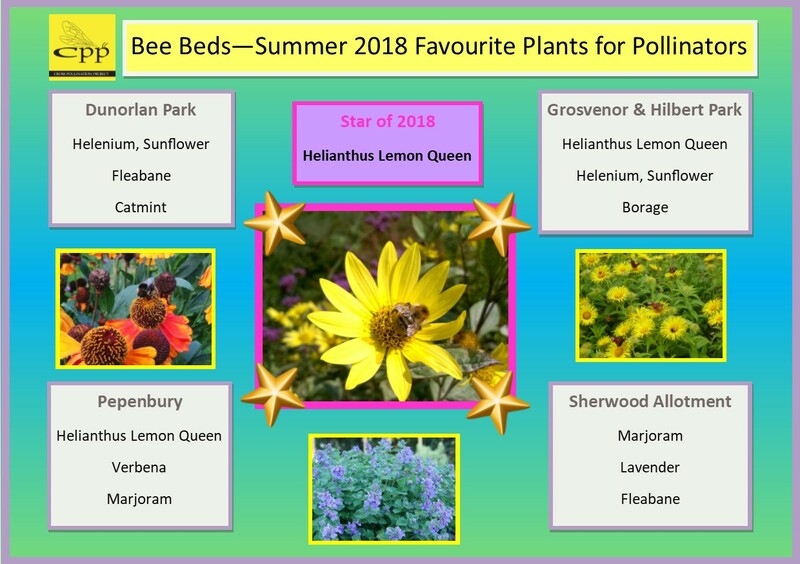 However, our major star plant for 2018 is Helianthus (lemon queen) again! If you would like to get involved with surveying the beds in summer 2019 please get in touch! Another great summer for CPP! As another year comes to a close, for the flowers at least, we are now mulching over the beds and putting the CPP flowers to sleep for the winter until next year when we will do it all again bigger and better than ever! 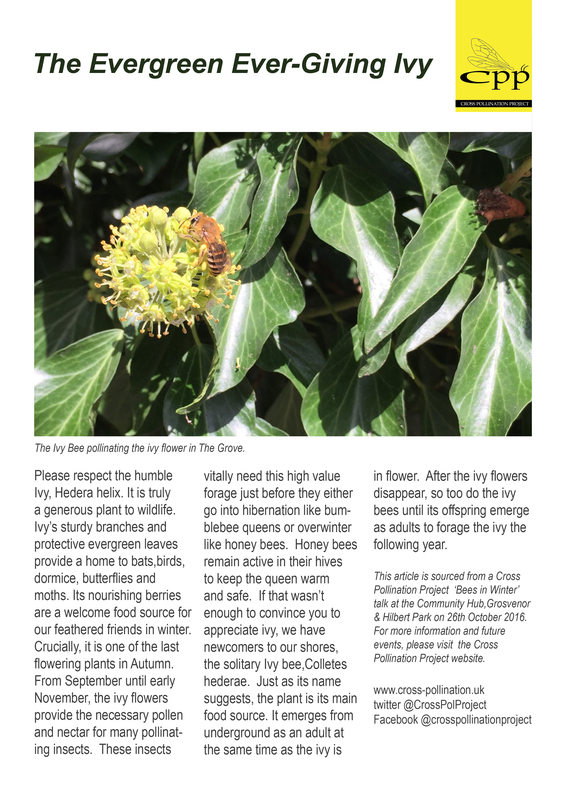 Its been a great year for The Cross Pollination Project. We hit the airwaves in the summer when George, our man on the ground, was asked to appear on BBC Radio Kent. This enabled us to reach a whole new audience and increase the buzz around pollinating insects. 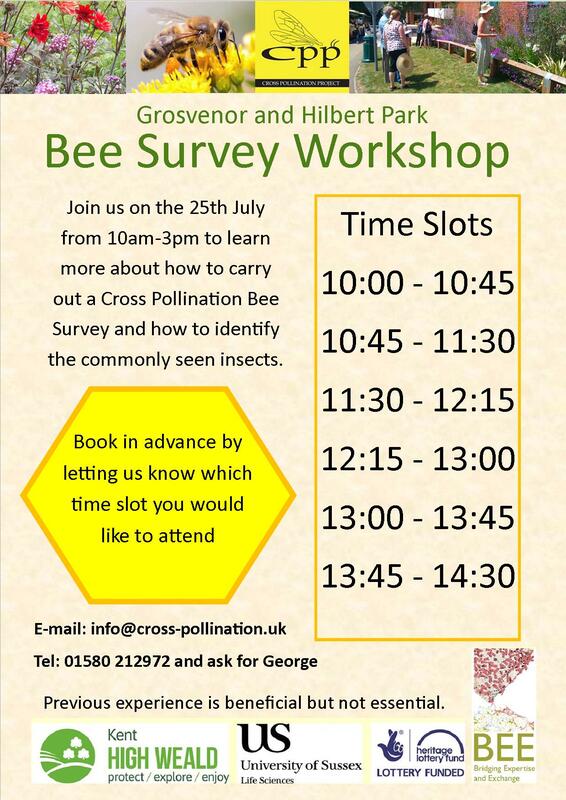 On the 25th of July, we held another survey workshop at Grosvenor and Hilbert Park with temperatures into the high 20’s, perfect for finding insects enjoying the sun …. and the flowers! The workshop was well attended by local people and their children and we spent the day learning the different types of insects that visit our CPP beds. After this we got down to business. Armed with survey sheets, a sharpened pencil and eraser (for the inevitable number in a wrong box) all participants, no matter their age or ability, completed their own pollinating insect survey for the project. The best thing that came out of this was seeing everyone able to identify species that they didn’t know existed before they arrived. The participants were given a starter pack to take away and begin their journey into independent surveying. Since then we have received a steady flow of survey results which will be used to learn about the foraging habits of pollinating insects and allow us all to make more thoughtful decisions when buying flowers for our gardens. 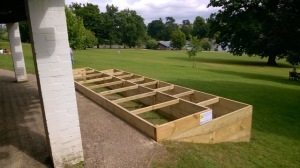 If you would like to get involved with surveying the beds in summer 2019 please get in touch. Data collection sheet CPP Bee ID Guide CPP Butterfly and Moth ID Guide CPP Flies and Other Insect ID Guide Example form Kids Sheet Pollinator ID Guide onepage Species Codes Instructions for Cross Pollination Project Survey CPP Bed Maps . You can now do a bee survey any time! We have now put survey kits out at four of our sites for you to turn up and take part. The kits contain the instructions for the survey, ID Guides, and the survey forms. Surveys should take no longer than 30 minutes to complete, perfect for a morning/afternoon stroll in these wonderful greenspaces. 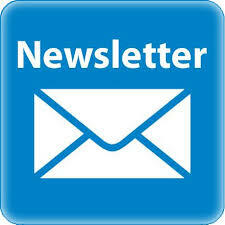 For further info please contact info@cross-pollination.uk or call 01580212972 and ask for George. Join us and learn how to do our CPP bee and insect surveys and help us collect important data !! 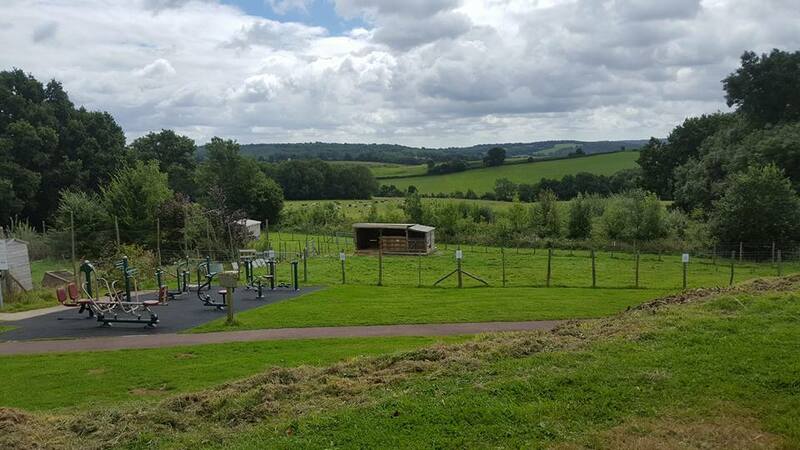 Have a listen to George Curd, Greenspaces Officer at KHWP and one of the managers at CPP, talking about the Cross Pollination Project! 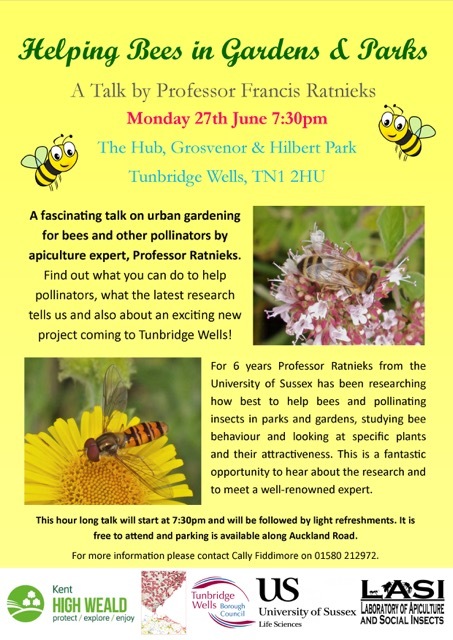 George will be running fun training sessions in Tunbridge Wells on identifying bees and pollinators, so get in touch to participate. On 6th April, Cross Pollination Project hosted a Build a Bee Hotel workshop at the I Dig Sherwood Allotment. It was a sunny and breezy day. The special event mascot, a bee shaped kite secured to a post with string flapped its wings skyward. The allotment is a community growing space for the residents of the Sherwood Estate. It has several small and manageable raised beds for vegetables and flowers including the CPP’s summer flowering beds. Susie, one of the plot holders gave me a brief tour and even offered salad onions to take home. Cally set up a few work tables and placed tools, blocks of wood and short bamboo sticks ready for the enthusiastic builder. The habitats were very simple to make and easy to carry home and hang in the garden. Residents did enjoy creating the habitats for bee. It was so successful that we plan to offer this again at the next Family Day event at the Grosvenor & Hilbert Road. 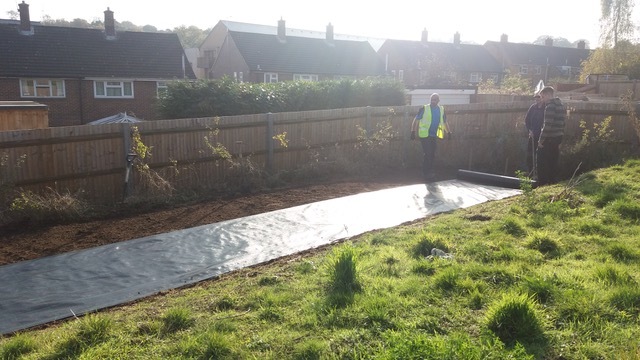 Meet at the I Dig Sherwood Community Allotment on Burslem Road, Tunbridge Wells. 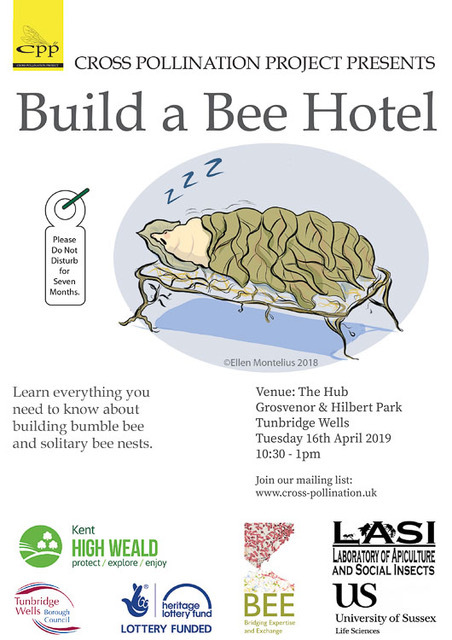 This is a free and fun event for all the family discovering how we can help our pollinators by making them homes out of natural materials. 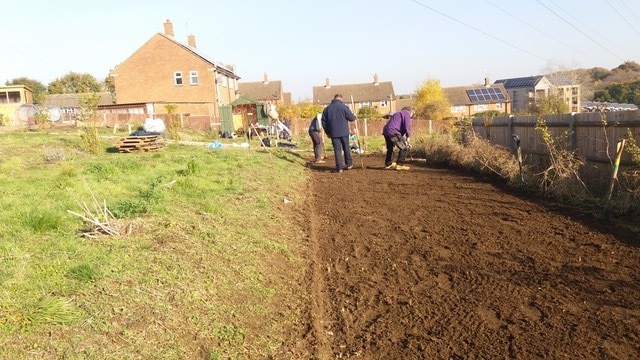 We will also be planting some pollinator friendly plants in our Cross Pollination Project bed at the allotment. 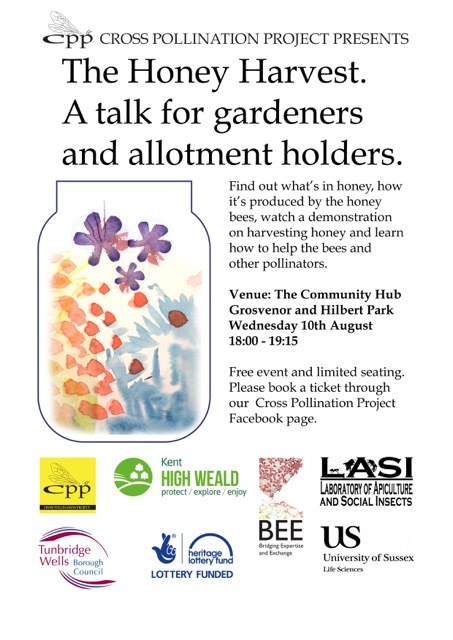 This event will take place at the Hub in Grosvenor and Hilbert Park. 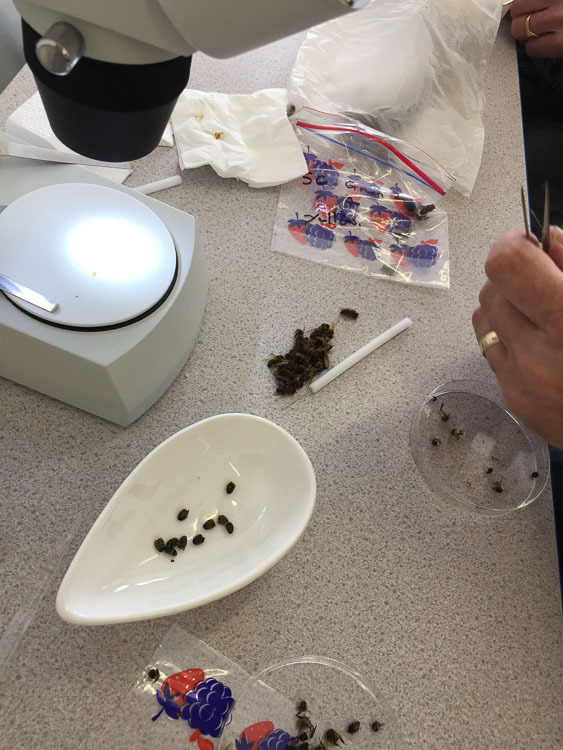 Following a beekeepers bee health assessment session in the morning, the afternoon session is open to all and will look at the practical microscopy work carried out that morning. 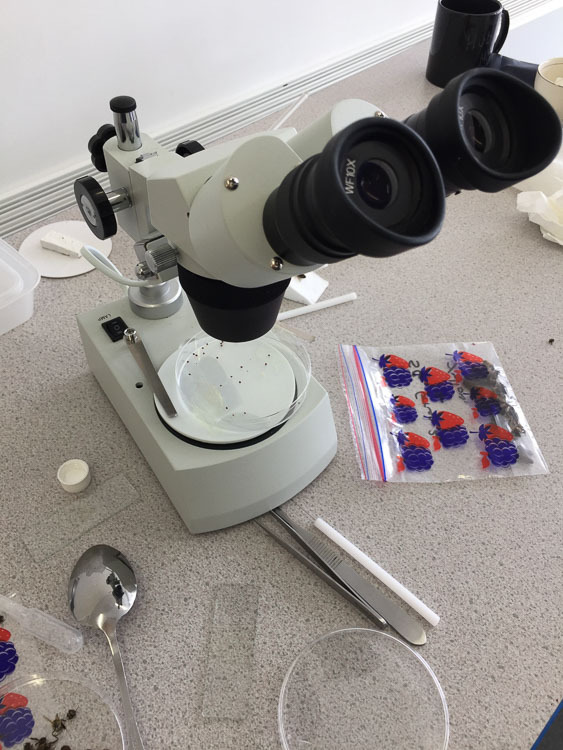 Beekeepers will share their knowledge about why and how a microscope is an essential tool for a beekeeper and there will be an opportunity to learn about a few of the bee diseases and threats facing our important pollinators. Please meet at the Grosvenor Park Hub at 10am. We will finish no later than midday. 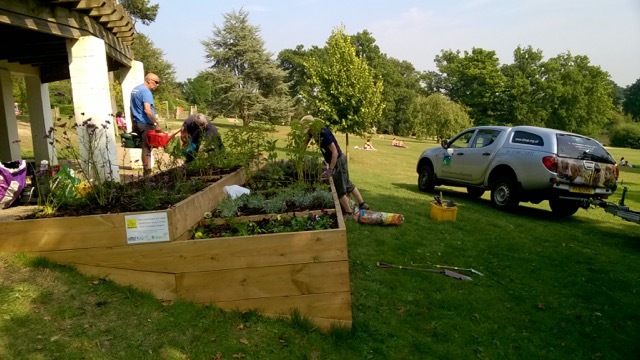 We now have our pollinator friendly beds built and planted up in Grosvenor and Hilbert Park, Dunorlan Park, Pepenbury, Sherwood Allotment and Oakley School. Now it is time to start counting our little pollinator friends on the plants to help with important research. If you would like to get involved with this then please do come along to this training session at the Hub in Grosvenor and Hilbert Park. Once you have your eye trained a bit the surveys take very little time. 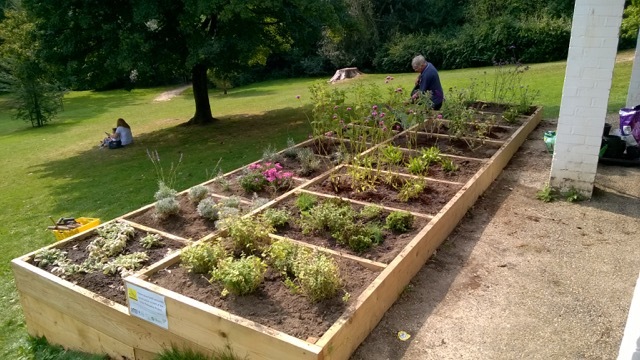 We would love people to get involved with counting pollinators on our beds, even if you can only spare a very small amount of time. 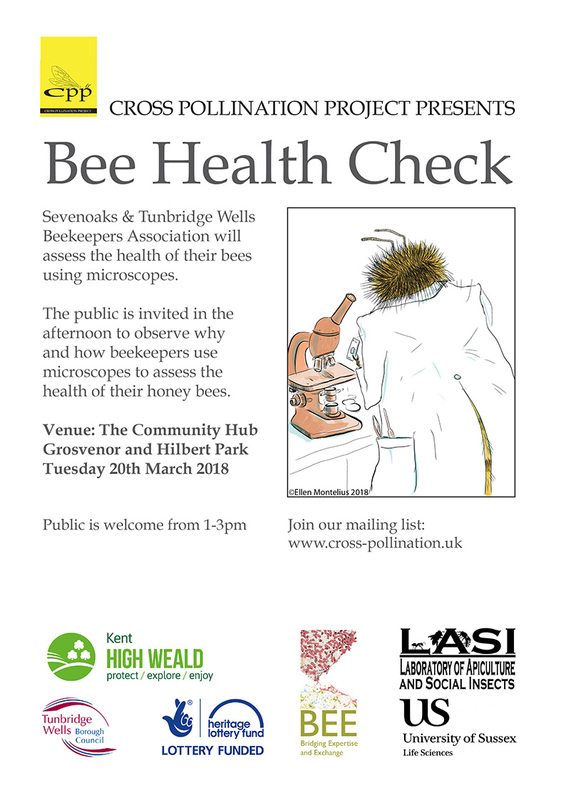 This training session will involve a presentation in the hub on how to identify the key insect pollinators and how to do the survey. We will then go out to the bed in the park (by the allotments) and put the training into practice so that you can have a go with someone there to help. 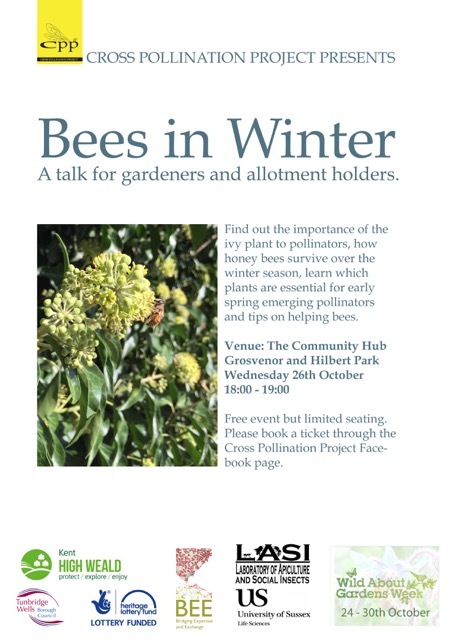 If you can’t make this session but would like to help please email info@cross-pollination.uk or call 01580 212972. As the weather is a factor in data gathering, the Monday 24th July workshop will have a contingency date of Wednesday 26th July. The workshop is free to CPP participants and volunteers. If you are a CPP volunteer/participant, to sign up contact info@cross-pollination.uk or phone Cally at 01580 212 972. 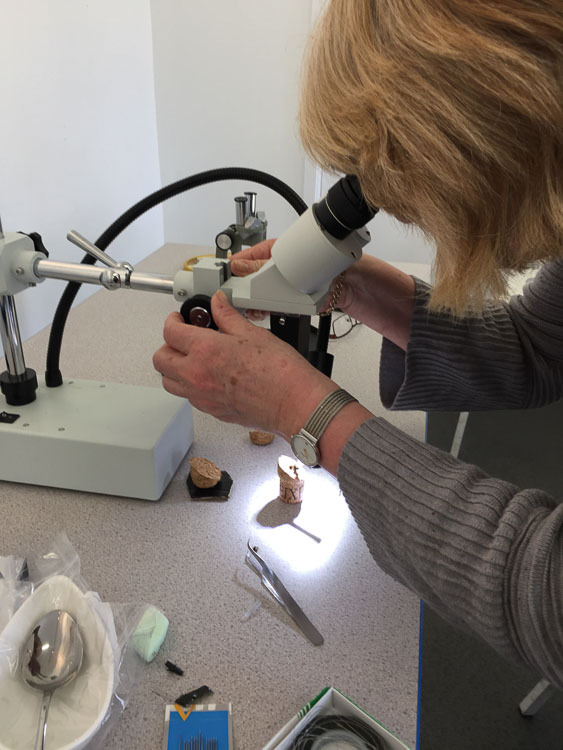 Professor Ratnieks will be running a training session at 11:00 am – 13:00 pm on Mon 24th July (with a rain date of 11:00 am-13:00 pm on Wed 26th July). This is to receive specific training on how to gather actual citizen science data from the 14 bee friendly plants in the CPP beds. As the project plants are summer flowering, we can now start gathering useful data on the insects that visit them. Two separate workshops will be held, one on Friday 7th July and one on Saturday 8th July. The workshop will be free for CPP volunteers. If you are a CPP volunteer, to sign up contact info@cross-pollination.uk or phone Cally at 01580 212 972. 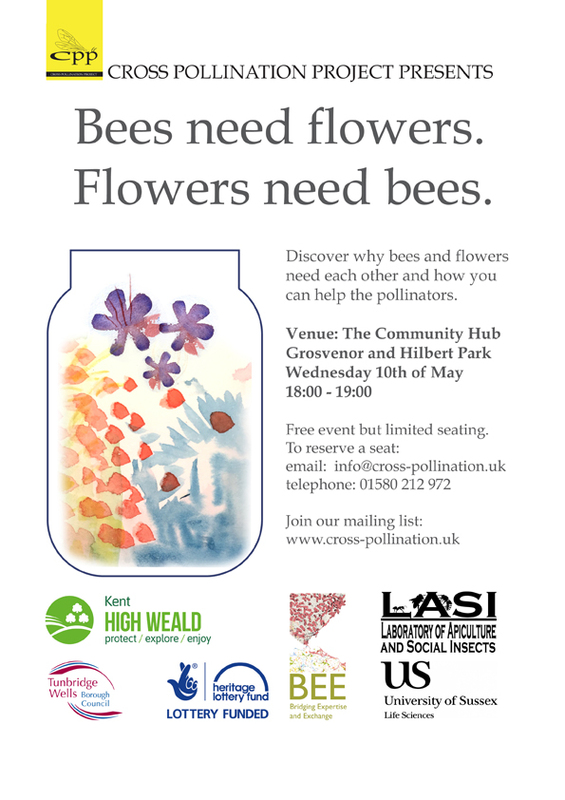 The workshops are targeted at anyone who is interested in helping bees through flowers, whether ornamental garden flowers or wild flowers. You will learn how to identify the main types of flower-visiting insects and how to quantify them so that you can determine which attract the most insects and also which types of insects visit them. 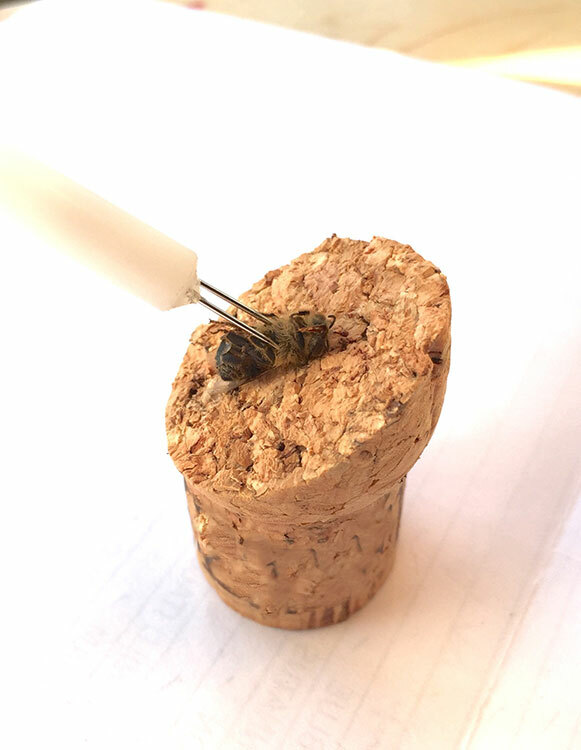 The workshops will take place at LASI (Laboratory of Apiculture and Social Insects) and will combine lectures with hands on activities, and will be based on the results of LASI research carried out in the Sussex Plan for Honey Bee Health & Well Being. Teachers include Professor Francis Ratnieks, Dr. Karin Alton and other LASI researchers. We will have a stall at the farmers market as part of a special “Bees and Honey ” event. There will be information about the CPP project and the ways you can get involved. There will also be project plants for sale. 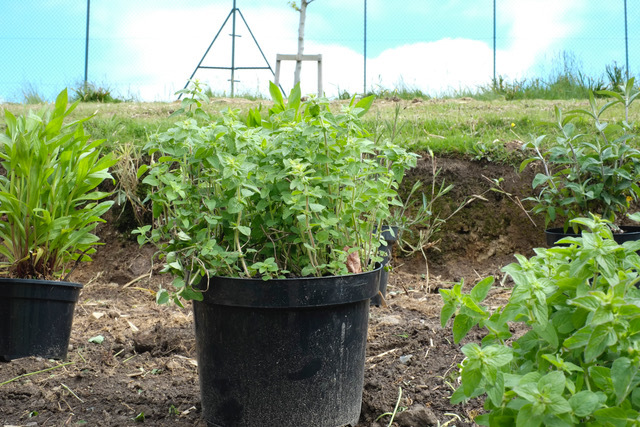 The plants for sale are propagated and grown by Pepenbury residents. 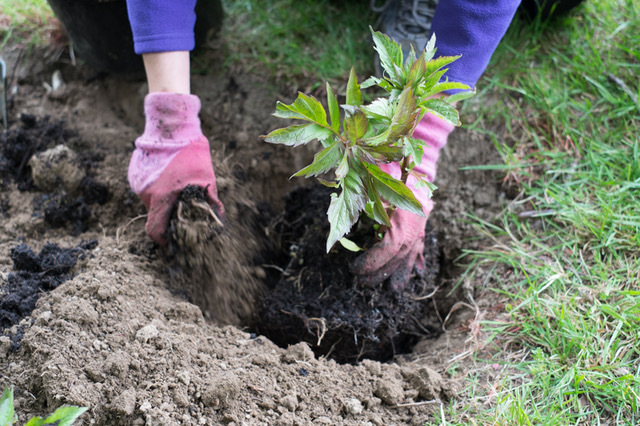 Please come and help us plant at two of our Cross Pollination Project study sites. We need volunteers to help fill the beds with soil then plant them up with our 17 project plants. 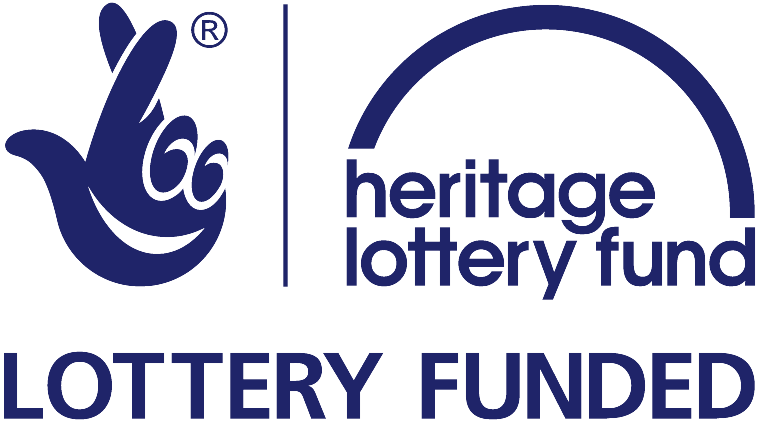 All ages and abilities welcome – there will be a job for everyone! Tea and coffee will be provided, as well as biscuits! We will meet at the Hilbert Road gate (by the Oast House) at 10am or come and find us down the hill from there (you won’t miss us). We will meet at 10am in the Pepenbury car park, or come and find us by the donkey field. Please sign in at reception on arrival. 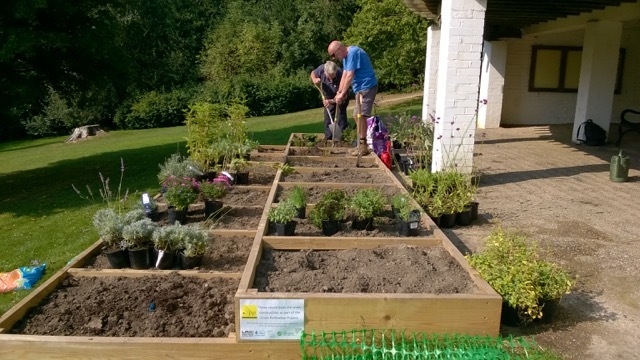 Please Join us to finish planting the bee beds and also tidying the bee friendly mixed border. The bee beds are next to the cafe and the bee friendly mixed border is next to the main stairs. All ages and abilities welcome! Tea,coffee and biscuits provided! 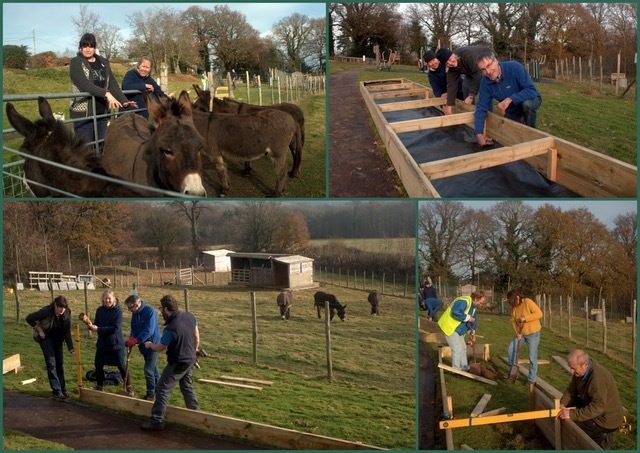 We constructed our project bed on Friday 9th December 2016 at Pepenbury, Cornford Lane, Pembury, Tunbridge Wells TN2 4QU. We had an enthusiastic group of volunteers, as well as some Pepenbury residents. No skills or experience were needed as tools and guidance were provided – as well as tea and cake! 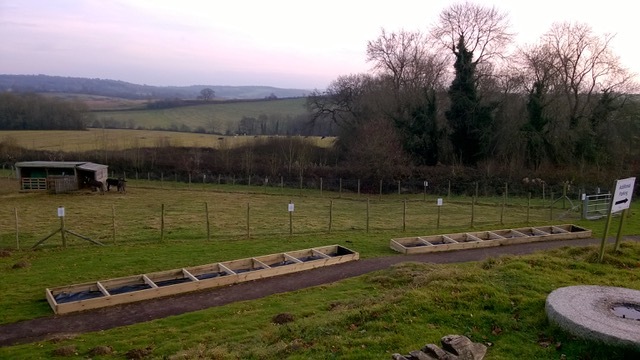 The finished beds are by the Donkey fields, ready for planting in spring 2017. 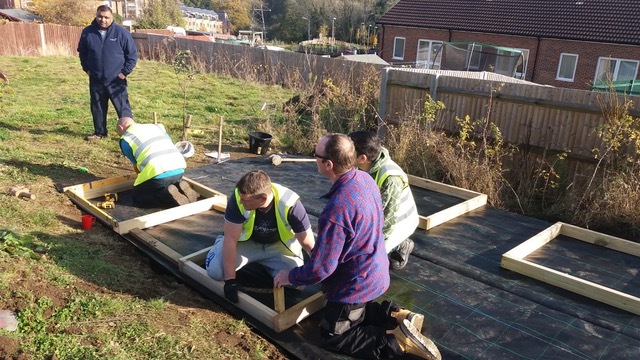 Volunteers from Building Futures and from Tunbridge Wells Borough Council helped create the CPP bed at the Sherwood Community Allotment, ready to be planted next Spring. 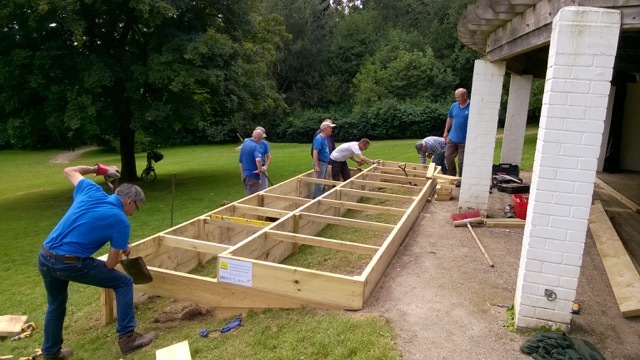 They did a fantastic shop preparing the ground, building the raised beds and landscaping the plot – it looks amazing and will be fantastic filled with our project plants. 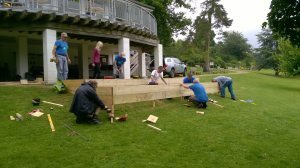 A small group of volunteers helped us plant the beds with the first set of available plants. The planting will be completed in Spring 2017. 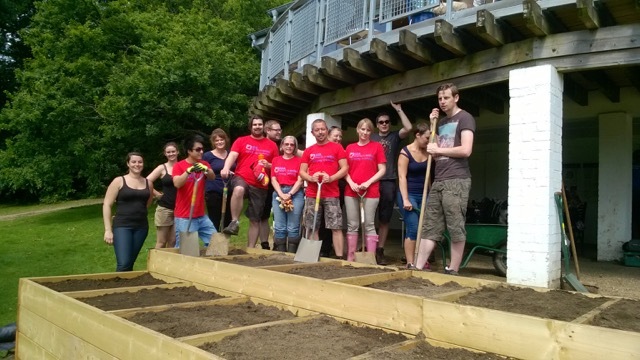 On a hot August day, a hard working group of AXA volunteers helped fill the beds with soil in preparation for planting. 10 Volunteers did a fantastic job building the raised CPP bed next to the café in Dunorlan Park.